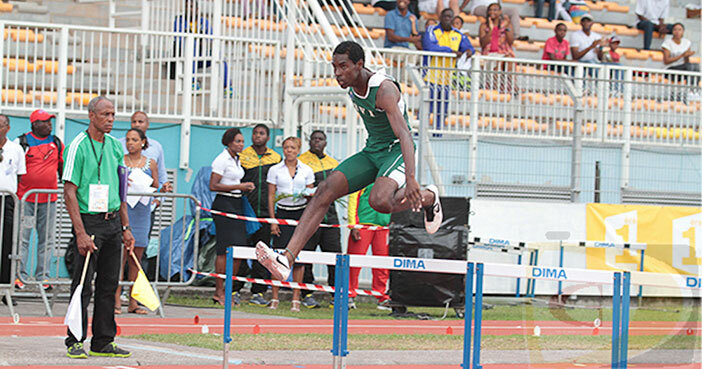 MAY 12—Unlike last month’s Carifta Games, this time, Kyron McMaster doesn’t have to worry about hurdle height, after he secured a ticket to the July 22-27, IAAF World Jr. Championships in Eugene, Oregon. Competing at Saturday’s NTC/Pure Athletics competition in Clermont, Florida, McMaster finished third in 53.26 seconds to join Nelda Huggins as the second clear qualifier for the championships. McMaster’s time demolished Steve Augustine’s 19-year old Jr. mark of 55.32 seconds. 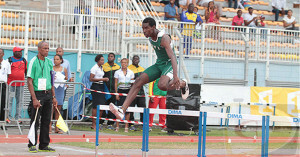 Augustine coaches McMaster in the hurdles where he ran 52.85 seconds in just his third race over the barriers to earn Carifta Games U18 Boys bronze. He will also contest the Central American and Caribbean Jr. Championships in Morelia, Mexico, in a final tune up for World Jrs., during the July 4-6 competition. Deya Erickson won her 100m Hurdles heat in 14.90 seconds. At the same meet, Shaquoy Stephens won the open 100m in 10.45 seconds in a race that had a +4.0 meters per second tailwind. He finished third in his 200m event after running 22.19 seconds. After running 11.61 seconds in her 100m prelim, Karene King was seventh in the elite final in 11.62. Taylor Hill was fifth in her open division 100m race in 12.30 seconds and ran 25.02, to win her 200m heat.